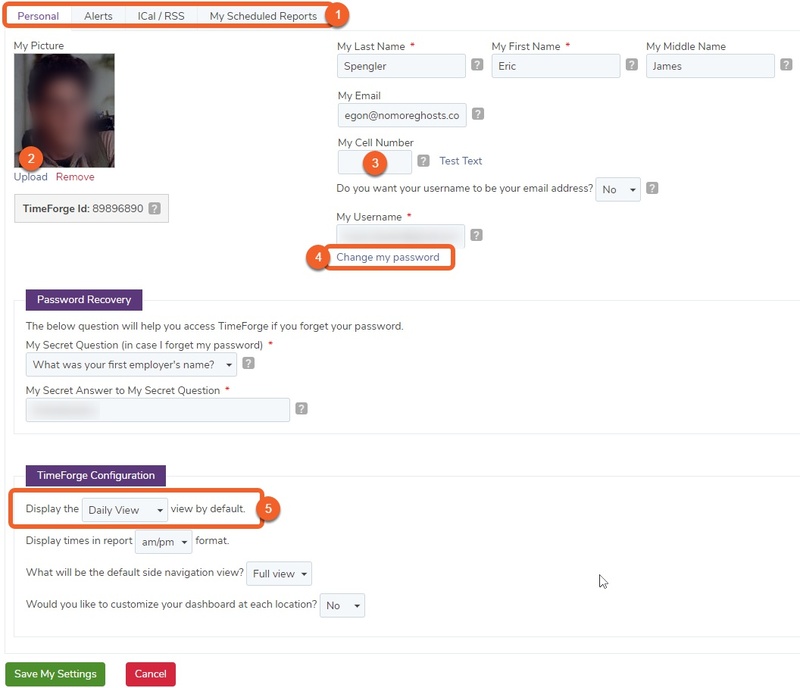 TimeForge provides each user with access to customize and update personal contact information and other useful settings. For managers, these settings include not only the ability to update their personal contact information, but also to decide which email notifications they would like to receive, to choose if they would like to view information in ICal or RSS form, and to view which reports they have scheduled. Having all of these settings customizable for each manager and located on one page is convenient and helps ensure that TimeForge is working optimally for each user. Changing your personal profile settings is easy, so make TimeForge unique for you! Just follow the steps below. Click the button in the upper right, then select My Profile from the drop down menu. Numbered features are described below. You can upload a personal picture that will be associated with your account. You are able to input your cellphone number,, which will enable you to receive certain text message notifications if you’d like. You can easily reset your password by clicking this link and entering a new password. This is how you can determine which view is the default when you’re creating an employee schedule. 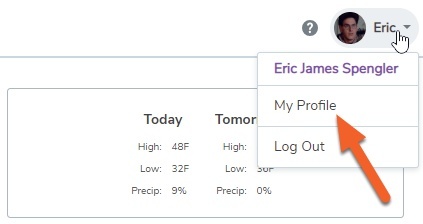 The tabs on the My Profile page allow managers to navigate between their personal contact information, alerts they would like to receive, ICal and RSS options, and any scheduled reports. 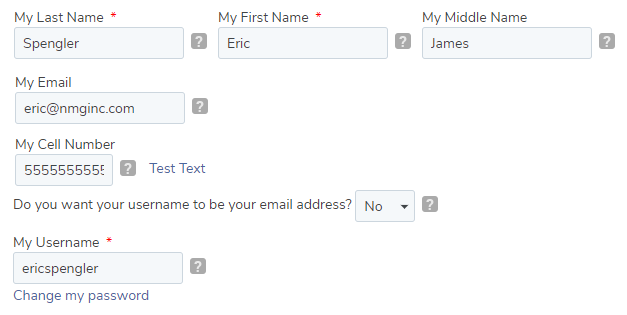 To update personal contact information, make sure you are on the “Personal” page. To update your information, locate the appropriate fields (as shown below), and update your personal contact information accordingly. Don’t forget to save! Scroll to the bottom of the page and click the green Save My Settings button.